The Octo Focuser (lat. 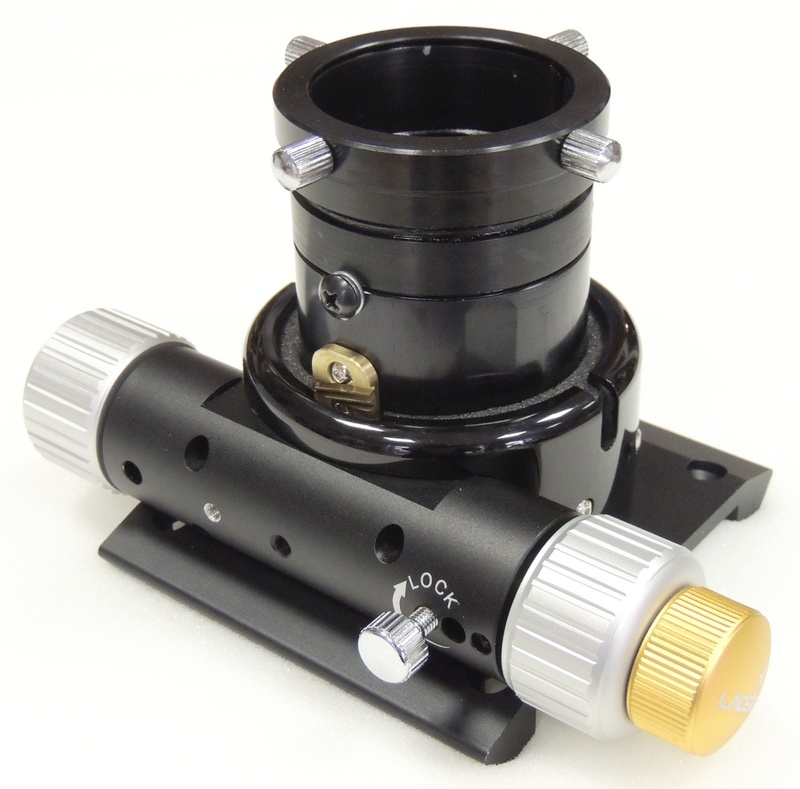 Octo=eight) resulted from the endeavour to have an stable Focuser for Astrophotography that is capable to carry heavy CCD Cameras but is still affordable to fit our Photonewton line. Its not a Designer Masterpeace - we had an eye on easily available components to keep the price low. The result is a stable focuser that does not bend under heavy load, where the GPU Coma Corrector fits seamlessly and has virtually no possibility for tilting. When we say stable we dont have in mind "more stable then usual", but REALLY STABLE. Part4: Self centering tightening ring - "Captains Wheel" - Stlye. How to achieve the needed height for visual or photographical need? for photography: bear in mind, the octo was designed to use with a coma corrector. 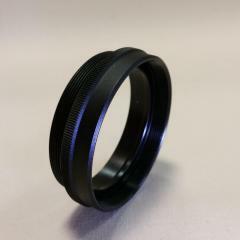 These correctors usually have a backfocus of 55mm, which requires an additional 55mm optical path over the focuser to plan. Many coma correctors shift the focal plane outside or inside - typical 5-15mm. The Standard focal focal plane is 140mm above the tube. 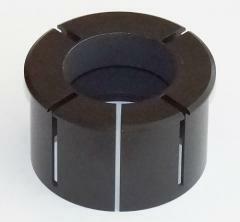 Short correctors, like the MPPC, should be extended with 48mm distance rings to have a guidance within the octos unique focuser tube for additional stability. 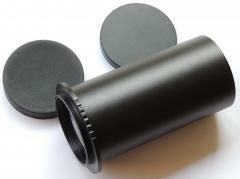 visual: the coma corrector can be equipped with an eyepiece adapter (e.g. M48508, T2508 and if necessary A508317null). 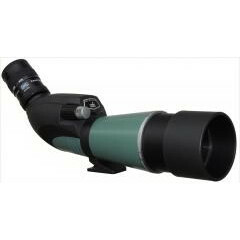 Without coma corrector you might need M48 distance rings under the eyepiece adapter M48508 fpr guidance within the tube. The different distances of the focal plane of the eyepiece can simple be achieved be sliding the distance rings in and out. 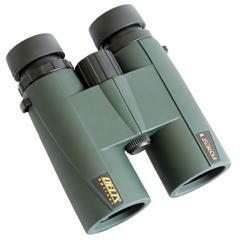 This makes you completely flexible with the use of any eyepiece and no extra ring with one defined length is needed. octo60 is equipped with an extra large steering rack, no shifting like other focusers. 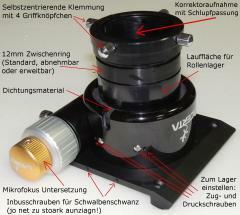 Please note: This Modell is not identical with ANY other focuser on the market. It was modified and stabilised in Austria. special feature: the bearing blocks are adjustable to have perfect focustube guidance. The initial tension is adjusted by us prior to delivery. 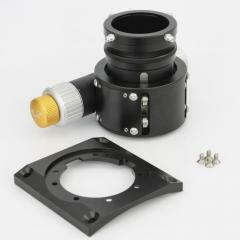 The adjustment screws on the sides ensures the focus tube to slide through without having pressure on the drive shaft. By separating these mechanical parts, the octo gets more stable and focusable very precisely. clamping is done by a center-lock clamp with long guide. advantage: easily rotateble, yet very stable. 1:10 microfocus included - also with the motorized versions. Note: Octo60 is NOT a crayford focuser. tightening the bootom screw does not lead to tighter shifting. The brake action is adjustable by the side screw or the motor under live wire! Rochus Hess: In fact, the Octo is very stable and the corrector fits perfectly tight into the focusertube - you did not promise too much! Bernhard Weinzierl: Tommy, i love this part! Perfect clamping, no tilting, no shifting - how could i live wothout the octo by now?? ?